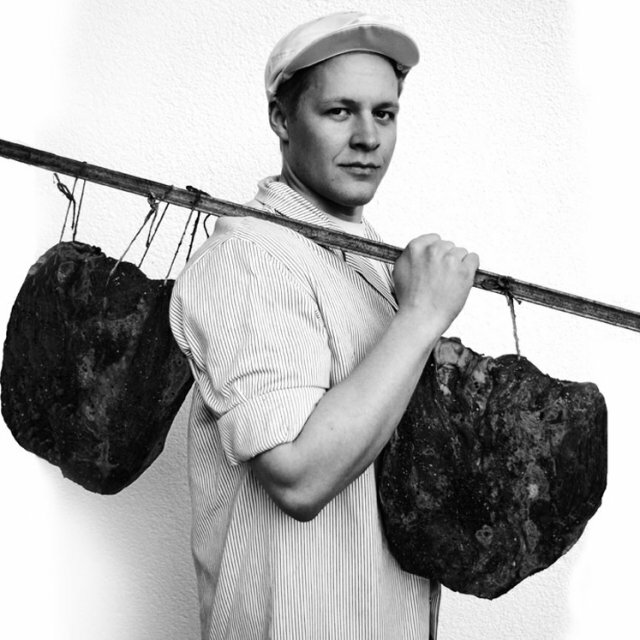 The Herrmannsdorfer Landwerkstätten stands for fresh regional handmade food with high organic quality standards. In German the word for food „Lebensmittel“ (life-means) expresses the idea that we eat to live. We refer to our food products as „Lebens-Mittel“ to convey the life-giving properties of food. We see food as a means for life. We look to improve the inner-values of our food, rather than the external appearance. Quality, not quantity, is our goal. The Herrmannsdorfer idea is to find ways to maintain and increase the life-giving properties of food. We seek to overcome the problems caused by extreme specialisation and the separation of agricultural production from industrial processing. Our slogan „from the region for the region“ describes how we are re-establishing proximity between the place where plants are grown and animals are brought up as well as where they are processed into food. This is done with considerate treatment of all life and that which sustains life: soil, water, air, plants, animals and human beings. Quality food starts with organic farming. 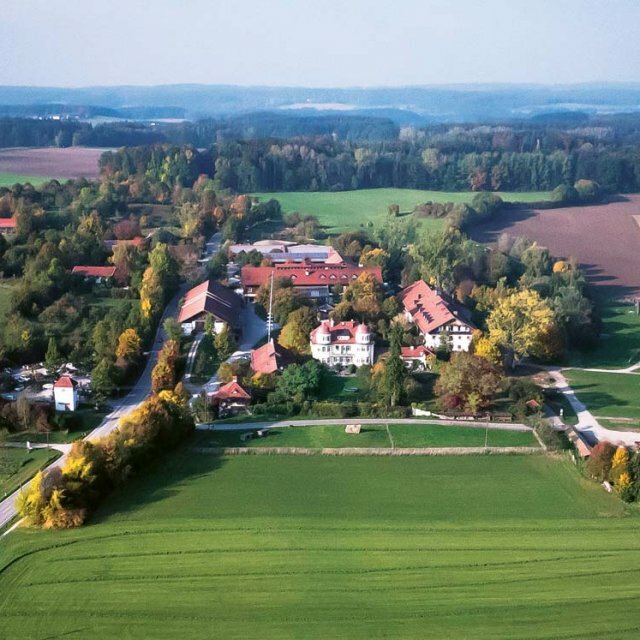 At Herrmannsdorf itself and at our local partner farms synthetic fertilisers and pesticides are replaced by long crop rotation, appropriate cover crops and minimal tillage to provide optimal soil fertility. Animal husbandry should be not only environmentally friendly, but also animal friendly. We and our partner producers respect the dignity and needs of the animals. Cattle, pigs, sheep and poultry live in group sizes appropriate to their species and in a balanced ratio to the fodder producing land around them. In Herrmannsdorf we want to use resources efficiently. Production and processing are located as close as possible. The waste of one process becomes the raw material of another. For example; the cheese maker’s whey and the spent barley of the brewer serve the farmers as fodder – and that without transport and further costs. Organic waste is used as either fodder, fertiliser or biogas. Waste water is treated in Herrmannsdorf. Slurry and the manure are used to fuel our biogas digester, thus producing methane, which a combined heat and power plant (CHP) then burns to produce electricity and heat. The Herrmannsdorfer commitment to the health of the soil, water, plants and animals and the know-how of our highly skilled staff ensure the high quality of the food we produce. We aim to retain the original qualities of the food we process. Our production “workshops”, as we call them, combine traditional hand crafted production methods with modern know-how and appropriate technology. The agriculture is made of light, fertile soil with a lot of humus and animal life. It is basis for healthy and tasty plants that serves us as food. As mentioned before crop rotation is highly important for soil fertility. 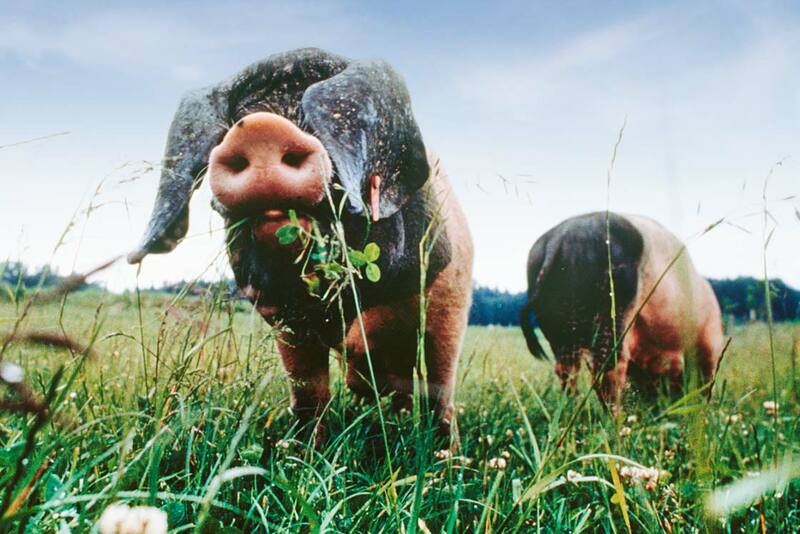 Our Swabian-Hall Swine is an old race, which is famous for its robustness, good mothering characteristics and the high quality meat. Our pigs are able to live an appropriate life. During summer and winter they have a lot of free space, an area with straw and a place to wallow. Piglets are fed by their mothers twice as long as elsewhere and mothers can move freely without being forced to stand still. The pigs are fed with grains, beans, peas, grass and hay and that’s how our pigs remain healthy, strong and full of the joys of life. The so called www-pigs (German words for the wallow, rooting and worms). They eat what is on the fields and what they find in the soil, mostly roots, worms and snails. This meat is one of the most wanted meats in our product range and appreciated by star cooks as well as the chef from our own restaurant, Ole Euler. The country chicken project has been established in 2009 and is breeding and using an old chicken race in a traditional way. Both the eggs as well as the meat are used and guarantee therefore an animal worthy life. Unlike conventional chicken produc-tion where the male chicken are gassed at birth because they are thought to be uncommercial, our chicks – both male and female – are reared in small groups in the open and fulfill a natural life. The butcher’s is situated near to the animal holding pens to reduce transport stress, which would adversely affect meat quality, then the meat is processed slaughter-warm. This method permits the substances in the warm meat to enhance the flavour naturally. In industrial sausage and ham-making those substances are replaced by additives and artificial taste enhancers. The specialties kitchen is prepares high quality ready-made food which is not sterilised and only slowly pasteurised. Our valuable ingredients come from the Herrmannsdorfer workshops and food such as soups, meat dishes or sauces are created by the chef Jean Philippe Larrazet. Obviously no artificial additives or taste enhancers are added; hence the good taste remains in the products. The bakery uses freshly ground organic grain to make natural sourdough bread. To ensure that all vitamins, enzymes and roughage remain in the bread, the whole grain is used. The whole grain flour is ground freshly every day before baking in our stone mill. The dairy processes only fresh, untreated, non-homogenised and non-pasteurised milk. Our dairy cows are living in the local area on ecological farms. The Herrmanns-dorfer cheese matures in the Herrmannsdorfer hill in specific underground vaults. The dairy is managed by Hubert Stadler from Antersberg, who’s family farm has supplied Herrmannsdorfer milk from the start. Our own cheeses and dairy products are supplemented with other dairy specialties from small organic dairy producers in the area. Cheese from Italy, France and Switzerland complement the product range. The brewery uses only organic barley and hops for its non-filtered beer. In the small house brewery the Schweinsbräu draught beer is made without any additives. Popular brewing seminars are often held. 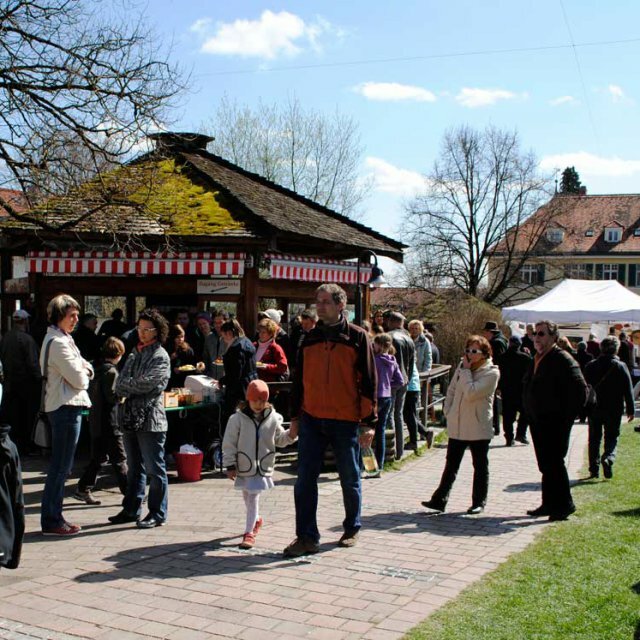 Our „Handwerkstatt“ brings together our master bakers and butchers with small, interested groups of the public, where traditional skills can be learnd first hand in a cosy and friendly atmosphere. The Handwerkstatt also offers the opportunity for people to celebrate various events in a beautiful setting. The market garden is managed by Susanne and Werner Schmid, who have also been with us from the beginning. The vegetables are grown without any synthetic fertiliser or pesticides. The cultivation conforms to the location and the seasons. The vegetables are harvested daily and marketed without packaging or transport directly in Herrmannsdorf. In our local market, on-site, and our shops in Munich, our products are presented to our customers. Here we seek to provide not just food of the highest quality, but also to inform our customers of the true value of the food they buy from us. We feel that it is essential for customers to know about and to question the quality of their food. Our motto is “not more, but better”.